Andrew and I wish everyone a Happy New Year! Yeah for 2006. I personally enjoy even years better than odd ones. 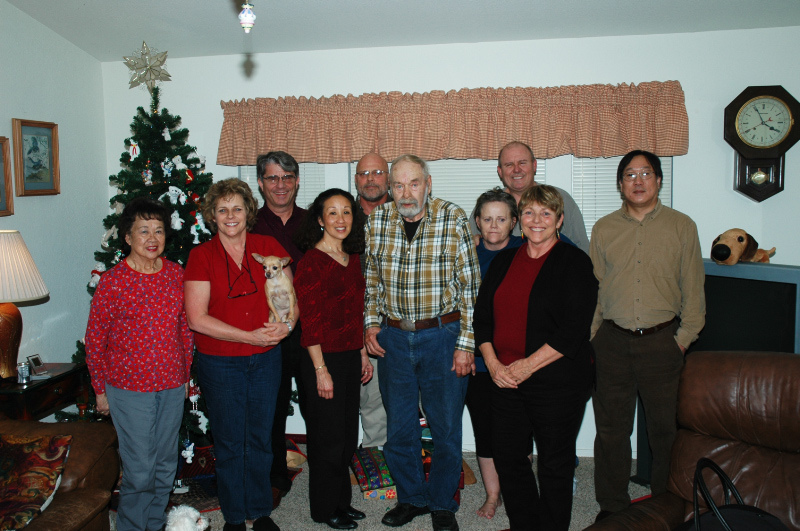 Here are some photos from the holidays spent with friends and family. 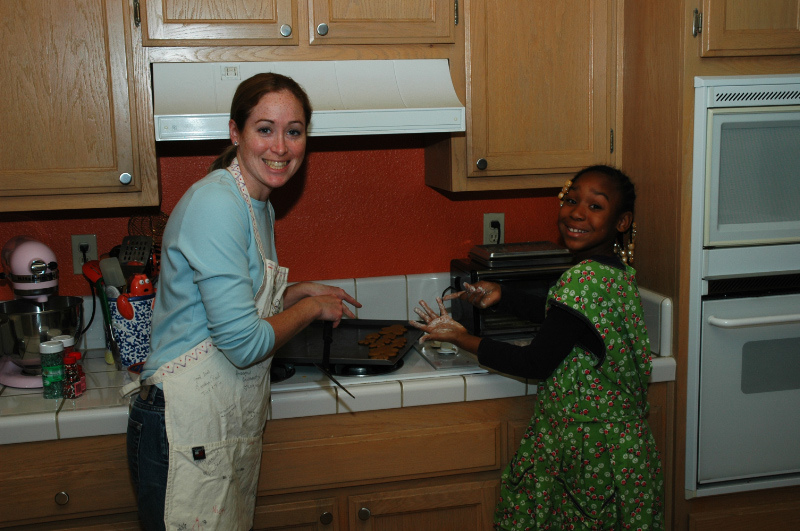 Ty'Tiana (my "Little") and I spent an evening baking homemade gingerbread cookies. She enjoyed decorating the huge gingerbread men and ate many on her way home! I am now embracing Andrew's Finnish heritage and calling it my own. 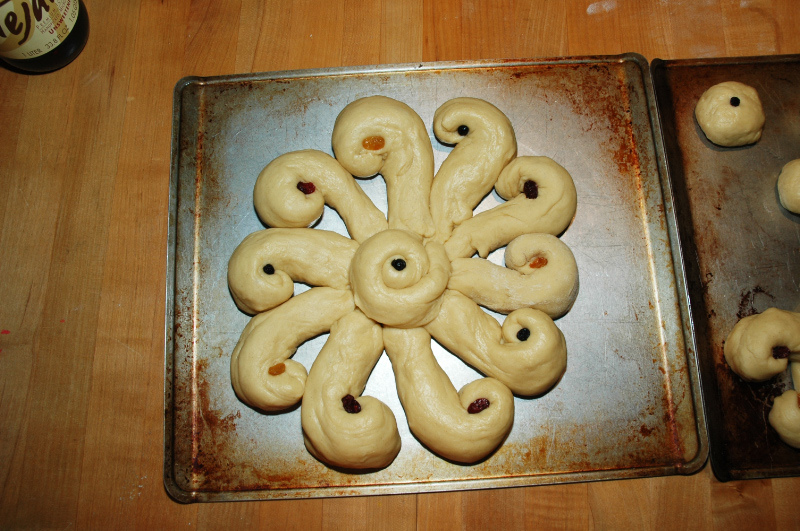 I decided to bake some Finnish bread for the family. 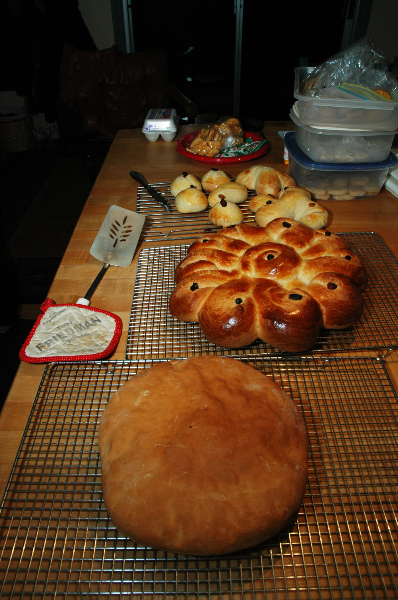 The ring is a sweet bread and I made a dense loaf for dipping in the lutefisk. 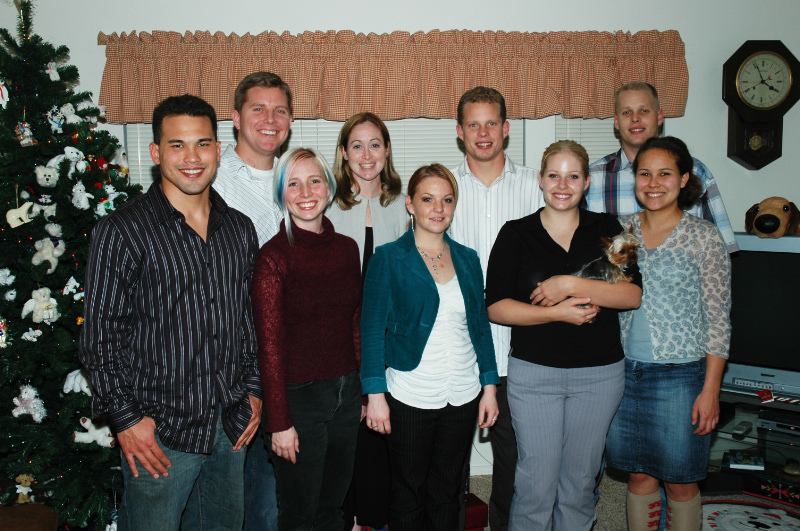 Here are the merry carolers. 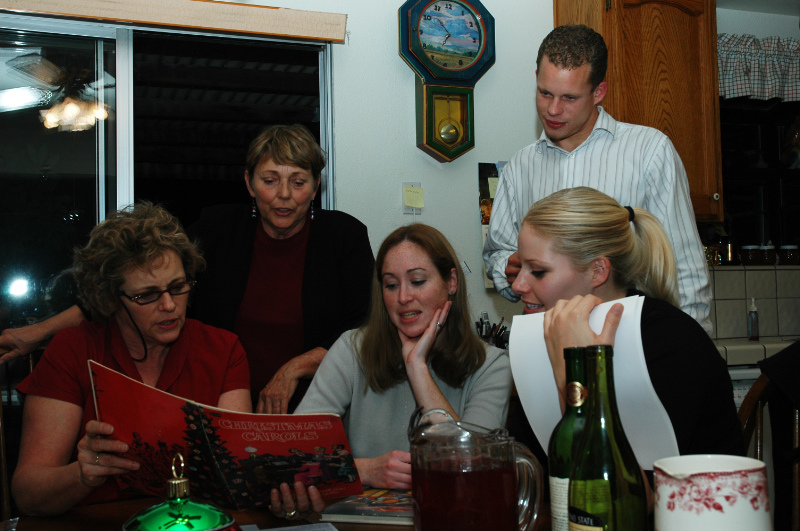 Although Andrew said we were out of tune, we had a great time caroling for the family. 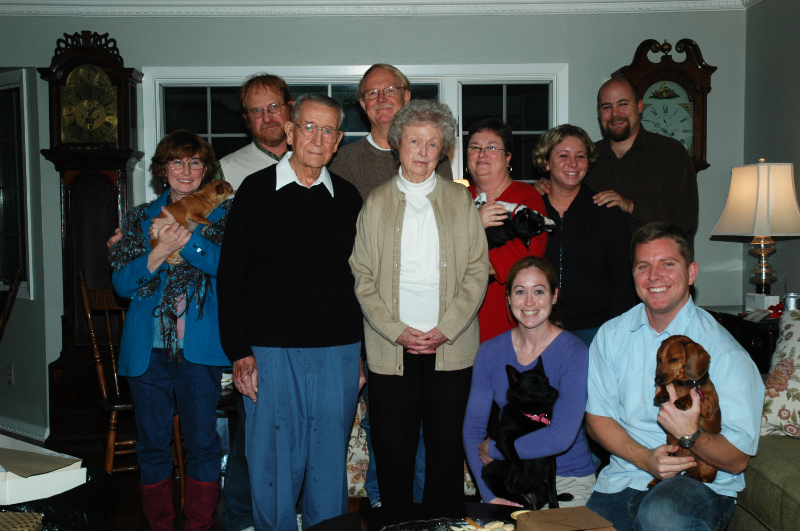 On the left is Auntie Shirley, Ellen, Myself, Stewart, and Erin. On Christmas day we drove from Oakhurst to Sacramento to spend a few days with my family. For Chistmas I made baby Kyle (Aden's brother) a play quilt. 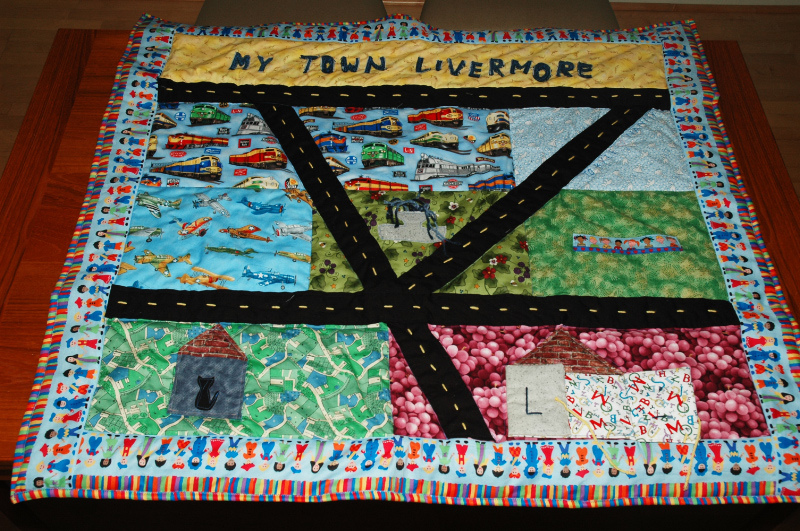 It is in the pattern of the town of Livermore. The roads are geographically correct and represent 580, Livermore Blvd., and Concannon (where their house is). I also made the roads intersect to make a "K" for Kyle. There is a fountain in the middle with blue strings to represent the famous Lizzie fountain. The library in the right corner opens and closes so he can stick little books in it when he gets older. The prints represent the parks, local wineries, and the golden hills. The letters are made from jean and will fluff up once washed a few times. Kyle likes it and looks pretty cute on it. I hope your New Year is happy and full of peace and love. Thanks David. I am glad it is done, but I wish I had done more work on it. 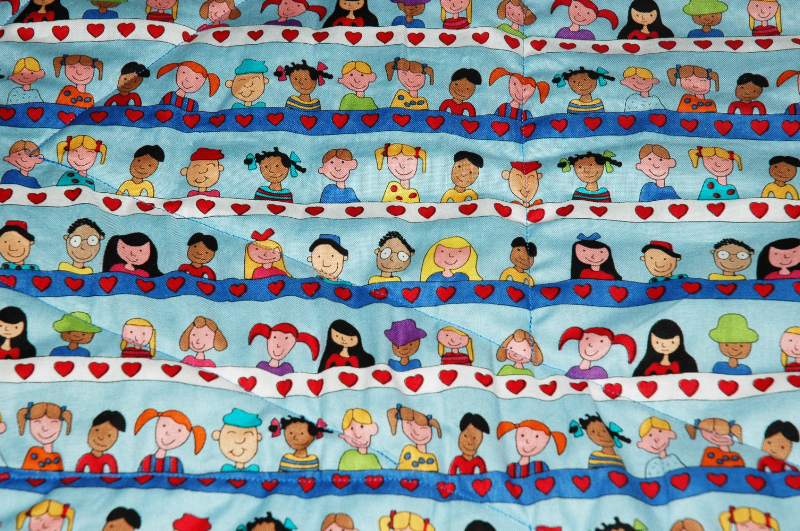 I am already onto my next quilting adventure so no time to look back!